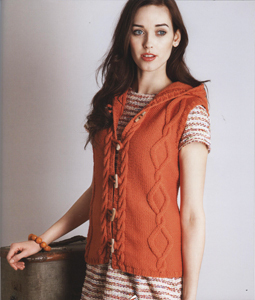 Vest Bets features brilliant vest patterns by some of today's top designers including Nicky Epstein, Deborah Newton and John Brinegar. 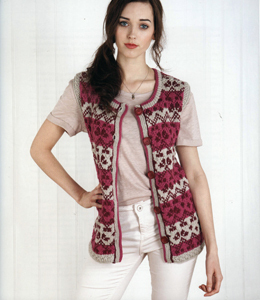 The book is full of luxurious patterns all using our 220 Superwash® Aran yarn! Cascade Yarns® 220 Superwash® Aran is 100% Superwash Merino Wool and each twisted hank is 100 g (3.5 oz) measuring 150 yds (137.5 m). This great yarn comes in 40 different colors to choose from! 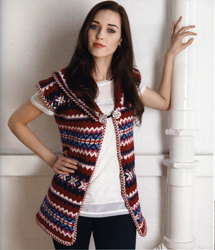 Vest Bets has 30 Knitted Vest patterns using Cascade Yarns® 220 Superwash® Aran yarn in modern, wearable vests for any season. You'll be layered in style with these wonderful projects suited for any figure and an assortment of skill leveled projects. 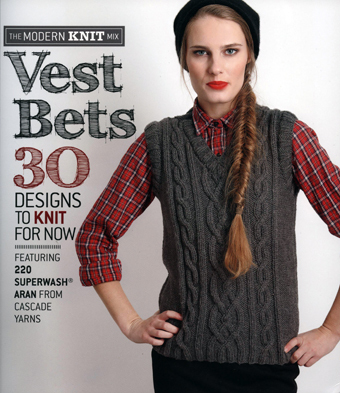 Vest Bets is an essential addition to your knitting library! 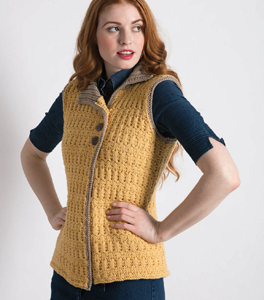 Vest Bets has versatile vest designs to fit any shape and style. Each pattern is cleverly designed making each piece a work of art and something that you can wear all year long.